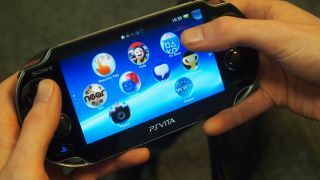 With E3 2012 just next week, Sony announced that PlayStation Vita users will be able to enjoy their favorite online videos on the gaming handset via a new YouTube app that will arrive in June. Gamers can now be entertained by millions of YouTube videos on the PS Vita's 5" OLED screen. This follows a string of non-gaming specific apps that have recently launched on Sony's premier mobile gaming device, such as Skype, Nico Nico, Treasure Park, Paint Park and Wake up Club. Based on TechRadar's review of the PS Vita, Flash and HTML 5 weren't supported upon the device's launch, but Flash was said to arrive soon. We reached out to Sony Computer Entertainment America to see if updates were made for Flash and HTML 5 but have not received a response. The free app can be downloaded through the PlayStation Vita Store. Stay tuned for more up-to-the-minute Sony PlayStation news with TechRadar's coverage of E3 2012.